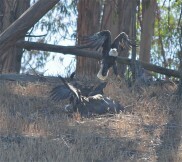 Four bald eagles are soaring, feeding and roosting along the shores of Lake Chabot Regional Park in Castro Valley. Two of them are this year's fledglings: a pair of male and female offspring. They took their first flights around the 4th of July and will stay in the area for another month or two as they hone their fishing skills. It’s the third successful year of raising young for this bald eagle couple, with possibly up to 30 or more years together in their future. While there aren’t any nest cameras on these birds, the photos taken by volunteer eagle monitor, Mary Malec, tell the story of this family drama. National Geographic wrote an article about the eagle nest cameras back in March of this year. Most of the cameras were set up by scientists to monitor nesting behavior. Geoff Lebaron of the National Audubon Society notes, "All this (nesting) information is well-known by scientists for the birds of prey in general. Most of the value is entertainment and engagement with the public." The more folks can develop a connection to the eagles, the more they may care about nature in general. The article has links to four eagle nest cams around the U.S. from Florida to Redding, CA. Once the fledglings get the hang of hunting and grow strong enough for longer flights, they will take off on a northward migration course. 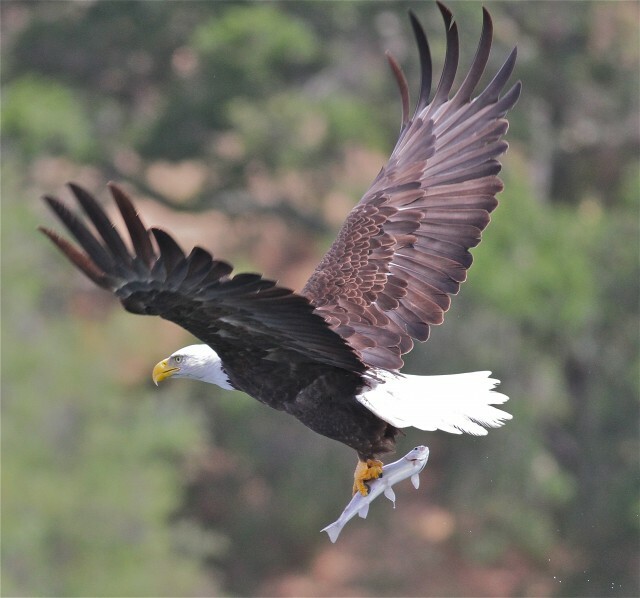 A 1991 study of bald eagles in California found they are genetically wired to take their first flights alone; they fly for 1-2 weeks as far north as British Columbia and southeastern Alaska to rivers full of salmon. 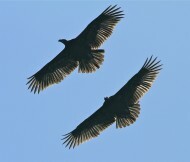 You can follow the migration paths of two fledgling eagles, one named after comedian Stephen Colbert by the San Francisco Zoo, on the Institute for Wildlife Studies website. You can watch your favorite feathered family but beware: eagle chicks are some of the fastest growing avians of any North American bird, so tune in often. Take some time to get out and visit the habitats and haunts of these amazing birds of prey, too! You can read more about the Lake Chabot Bald Eagles in my other KQED Science blogs, "Raptors in Residence" and "First Flight."